NEW VERSION NOW IN STOCK! We sold out of the previous chassis run, and based on the latest feedback we've received, we've made the new batch even better with a few minor updates. 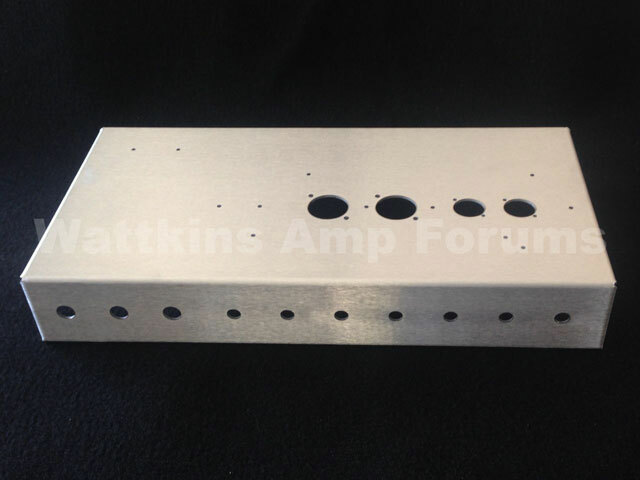 By popular demand, the tube sockets and PCB mounting holes are now centered again, and all the holes except the tube sockets and IEC ground are pilot holes (like the Jr chassis). Also, 10/32" cage nuts are included. 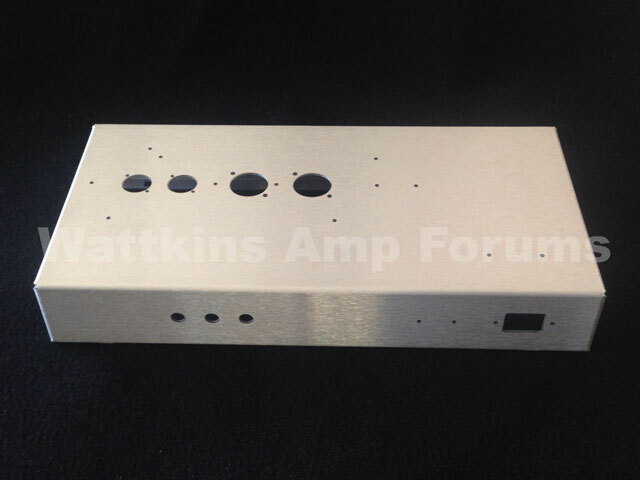 This is a very sturdy 16" x 8" x 2.5" universal chassis that was designed to be compatible with our Universal PCB, as well as the 5E3 Tweed Deluxe PCB. The chassis is the standard 16" x 8" size, except we've made some improvements. It's a 1/2" taller than standard to make it easier to work on and accommodate more parts. 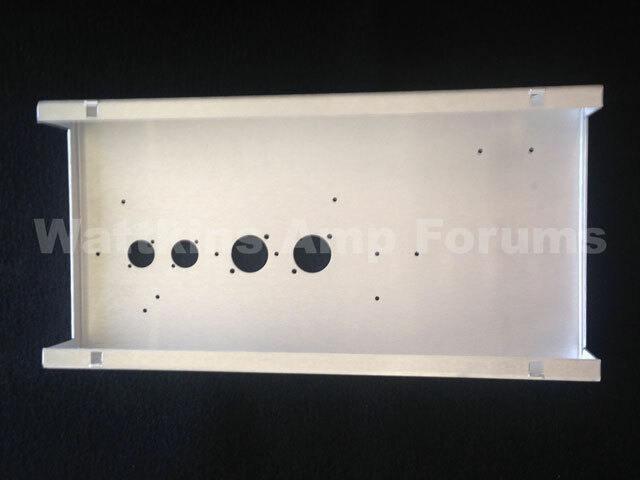 It's also comes with pre-drilled holes for switches, lamps, pots, and jacks, as well as all cut-outs for the Tweed 5E3 PCB. It will work with most Valve Junior-compatible PCBs and turret boards (such as the Baby Will PCB) with very minor modification. NEW VERSION BACK IN STOCK! Dimensions: 18in. × 10in. × 4in.